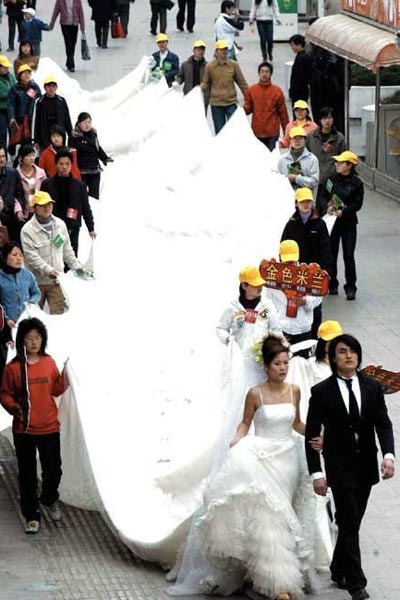 Wedding Dress Trains: What a drag!!!! There is a lot of maths in weddings including how are you going to pay for the damn thing. 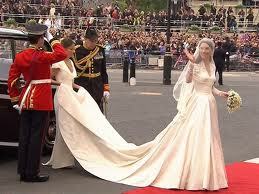 But Mathspig became interested in Kate’s Wedding Dress train. I mean how hard is it to drag a wedding train down the red carpet at the Royal Wedding. Unfortunately, there was no data available for coefficent of friction of silk on wool carpet. 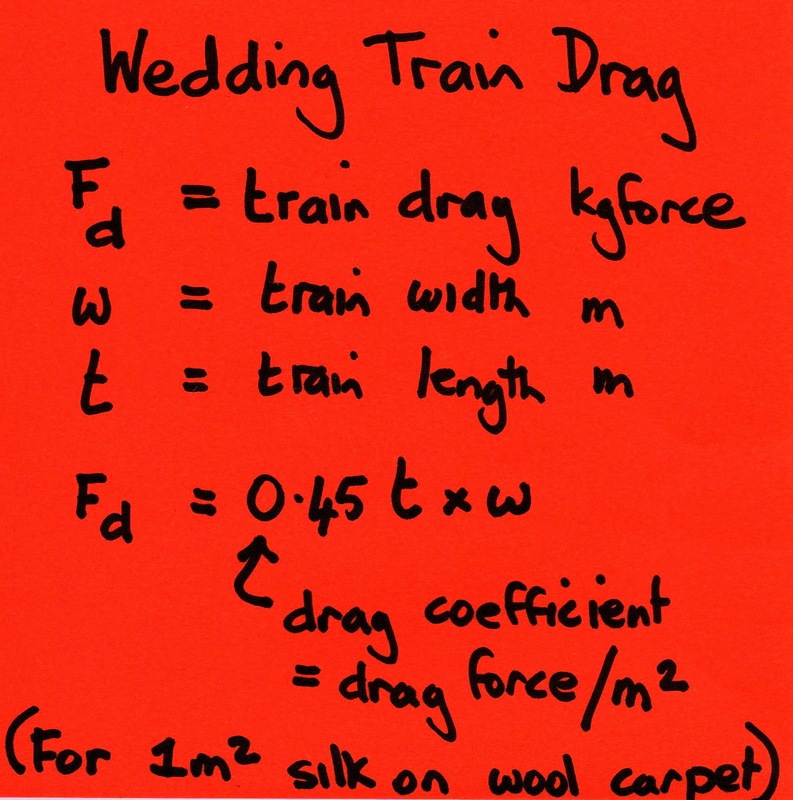 Mathspig did her own experiment to come up with a drag coefficient (See details at the end of the post). Dragging that bridal train down the Red Carpet!!!! 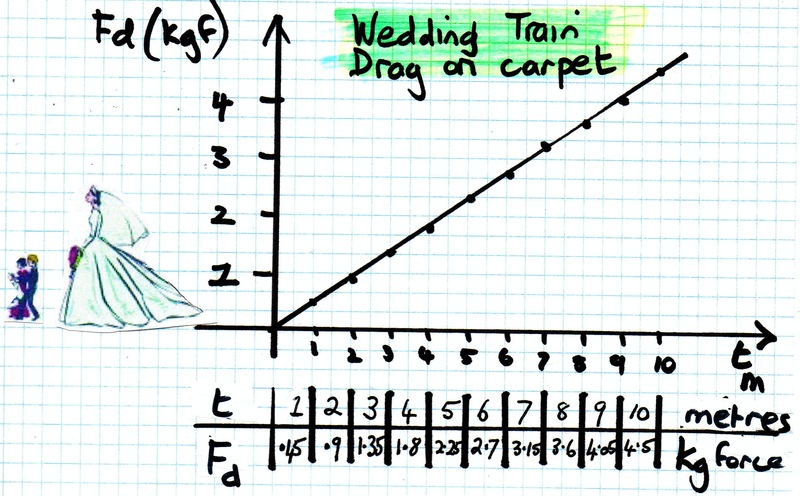 As you can see (below) it takes some effort to drag those wedding dress trains. 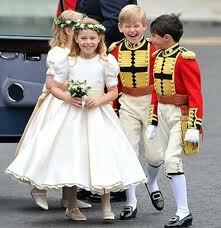 If the train is TOO HEAVY it is hard work for the bride (See Diana below) walking up the steps. IF it is TOO LIGHT it can blow up in the wind like a yacht sail and carry the bride off. If it is TOO SLIPPERY then coming down the steps the train will just keep going and bundle up at the brides feet. 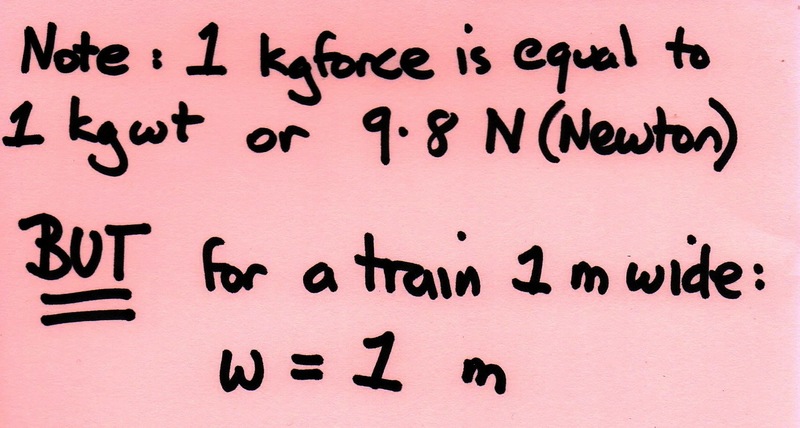 Some trains are wider than 1 m like Kate’s so the drag would be even higher. Some red carpets are narrow. Nevertheless, these calculations are a good approximation. Some Brides over do the train. .As an 8 year old boy weighs around 24 kg some long trains would equal dragging a short train down the aisle with the page boy sitting on it for a ride. 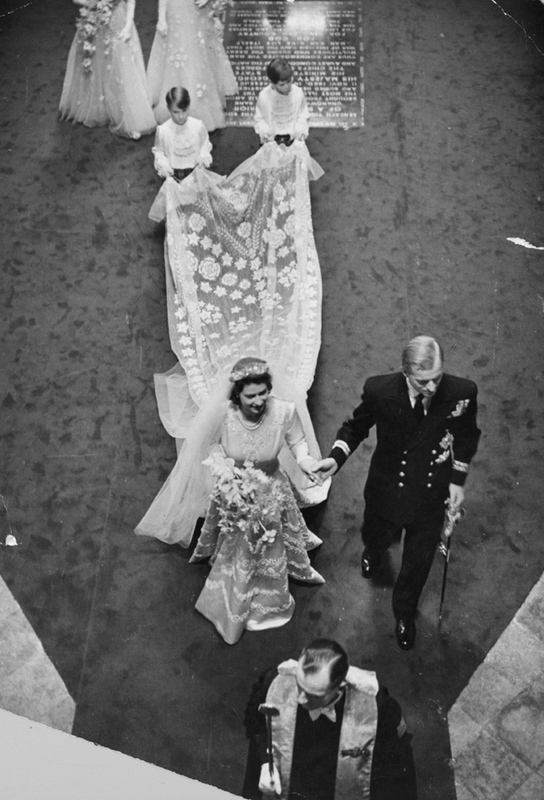 According to OK magazine the longest wedding dress train measured over 2488 m or 8,164 feet and was created by Lichel van den Ende. It was presented and measured in Zoetermeer, The Netherlands, on December 22, 2009. According to the ABC News, Romania has set a new World Record for Wedding train length. The 1.85-mile ( 3 km) long ivory train was modeled by Ema Dumitrescu, who appeared in a hot air balloon floating over Bucharest. The Guinness Book of World Records officially named the train the longest one in the world. 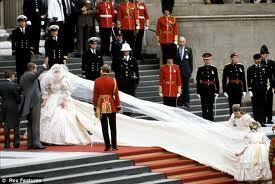 It required 15,420 feet of taffeta, 18 feet of lace and 147 feet of lining. NOTE for Science Students: Mathspig used 4 m square of silk shantung folded into 1 m square and weighing 375 kg. 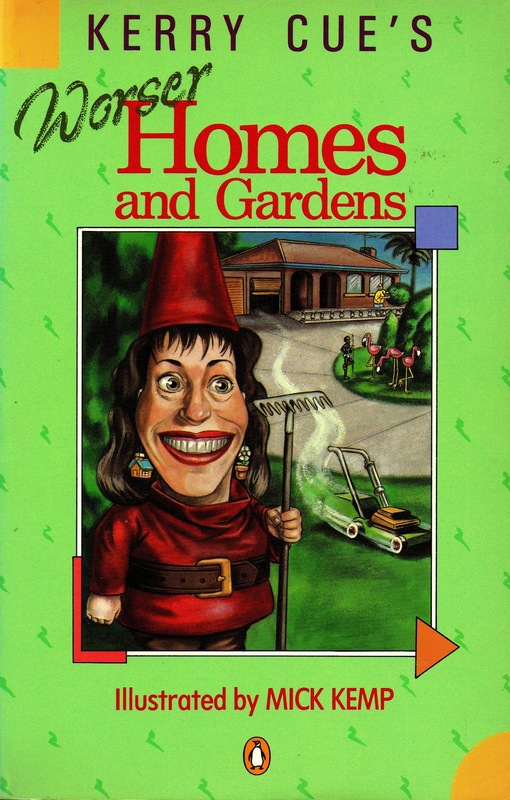 She then dragged this square down her own carpet and recorded the drag on kitchen scales in gram. The drag per m square was 450 gm or 0.45 kg. The difference between static and kinetic friction was minimal because the brides walk is not smooth. Then Mathspig used 2m square of silk folded to form 1m square. It weighed 180gm and had a drag per m of 200 gm. This seemed too light for a wedding train. 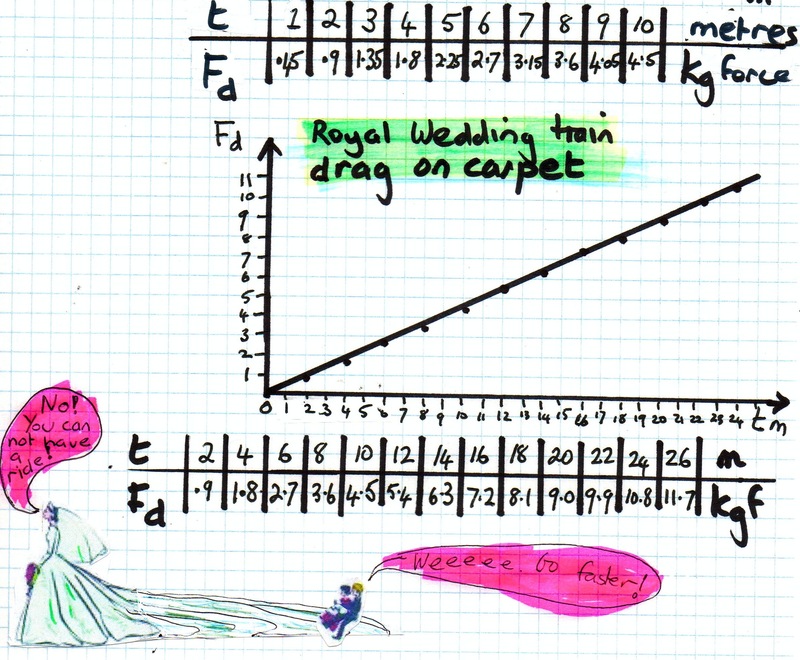 You are currently browsing the archives for the Royal Wedding Maths category.